Sewing is a huge passion of mine. I love sewing for so many reasons. If I had to narrow it down, these are the top five reasons why I love to sew. 1. I’ve learned to spot quality. Since I have sewn for a long time, I can spot quality when shopping for ready made clothing, bedding and more. I can quickly assess whether or not I will be able to alter clothing for a better fit. I also look for details that cheapen the quality of sewn items such as poorly matched seams and sloppy button holes. If a clothing item costs big bucks but was made poorly, I will pass on it. 2. I gain a great sense of satisfaction from sewing. Nothing can replace the simple personal satisfaction of completing a garment or project that I am proud of. From selecting my patterns and fabric to completing the final details of sewing project, sewing fills me with pride and satisfaction. I love saying “I made it” when someone comments on something I have sewn. The idea of being self-sufficient and more sustainable is also very important in my life. 3. Sewing taps into my creativity. As a retired CPA, I know that people often choose career paths that are very different from highly tactile ones. When I was an accountant, I found that being more tactile by sewing balanced me out. We all need outlets for our creative side which all of us have. Sewing relieves stress and helps me to be more meditative, which results in a more happy me! 4. Sewing is a family tradition. It is probable that, for most of us that sew, our mothers and grandmothers taught us. They knew their sewing well and desired to pass it on to daughters and granddaughters. We, in turn, pass it onto ours. Sewing tradition often had strong, deep roots within our families. 5. 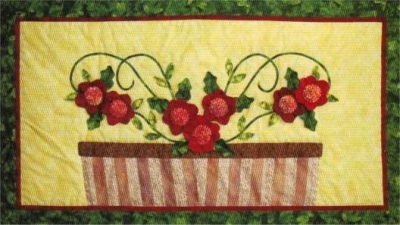 Sewing is a great way to spend time with my quilting family. These are my friends and some relatives who have become the dearest friends I could ever ask for. We love to gather together in small groups at each others homes or larger groups at our retreats. Sharing your passion with others who have the same passion brings me joy for which there are no words. So… why do you sew? 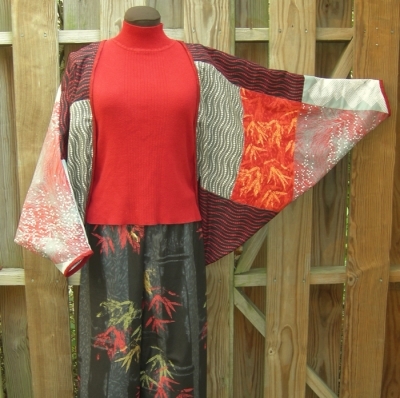 This entry was posted in clothing patterns, patterns, QuiltWoman and tagged apron patterns, clothing patterns, QuiltWoman.com, resons to sew, why I love to sew, why i sew. Bookmark the permalink.